Nestled on the edge of the Black Forest lies picturesque Freiburg im Breisgau, the perfect choice for your German language course. Germany’s sunniest city, Freiburg enjoys a semi-Mediterranean climate, allowing visitors to make the most of the spectacular surroundings. The city is encircled by a mix of rustic orchards, wooded mountains and scenic vineyards and is the perfect base for hikers, skiers, cyclists and mountain bikers. The locals are fiercely proud of the unspoiled environment surrounding their city and have worked hard to turn Freiburg into a truly ‘green’ city. Aside from its natural attractions, Freiburg has a fascinating history that comes alive when walking through the streets of the old town. Home to one of Germany’s oldest universities (founded in the 15th Century), Freiburg combines its medieval roots with an animated, youthful atmosphere. As you meander through the streets, be sure to gaze up at the impressive Gothic Minster that dominates the city’s skyline and gives its name to the city’s main square, Munsterplatz. This is the focal point of the city and truly comes alive with the regular markets held here. Allow yourself to be guided by the famous Baechle (miniature canals) that have carried water from the river through the city centre for centuries. These man-made streams keep the air refreshed and local legend has it that if you fall or step into one of these, you will marry a Freiburger. Just a short walk from the city’s main square, Munsterplatz, and very close to the university, our school is perfectly located as a base to explore the city. Close by you will find plenty of shops and restaurants and you can even buy delicious meals on a budget at the university’s restaurant. Your lessons will take place in one of the eight brightly lit classrooms and afterwards you will have plenty of opportunities to socialise with your fellow students, both in the school’s own cafeteria or on the roof-top terrace. The minimum age requirement at our school in Freiburg is 15 years, although the average age is usually 20-25 years. Having said that, we do take plenty of students either side of this age bracket and, as most students travel alone and have similar interests, we do usually find that everyone is very keen to get along and make friends. If you are aged 17 years and under you may like to consider one of our courses for young students, as this will allow you to learn German with students of a similar age to yourself! 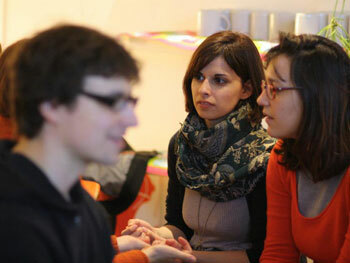 The most popular option that we offer in Freiburg is the ‘Intensive’ course, which consists of 20 group lessons per week. This is a popular option because it strikes the perfect balance between the amount of time spent in the classroom and the opportunity to explore the city and put what has been learnt into practical use. However, if you only have a short time available and need to make as much progress as possible, the ‘Intensive + Mini-group’ course would be better suited to you. You will have 20 group lessons (max. class size 12 students) and 10 mini-group lessons per week (with a max. of 6 students per class). 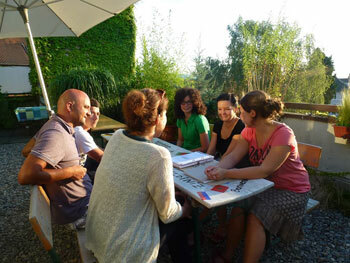 Both the ‘Intensive’ and ‘Intensive + Mini-group’ courses will help you to improve your overall level of German. However, if you need to focus on very specific aspects of the language, then the best option for you would be a course of private lessons. 'You can take private lessons by themselves or add some to a group course. Our school in Freiburg also offers ‘Exam Preparation’ courses for students who wish to take the Start Deutsch 1 and 2, Zertifikat Deutsch and TELC Deutsch exams. Please contact us for further information on this. All of these courses are held during the daytime, from Monday to Friday. However, if you have other commitments which prevent you from taking lessons during the day, you may like to consider taking the ‘Evening’ course. This course consists of 4 lessons per week in small groups of 4-8 students. The 4 lessons are taken over 2 evenings per week (usually Monday and Wednesday or Tuesday and Thursday). To reinforce what you have learnt in the classroom, it is a good idea to practice speaking German with the locals as much as possible. This is why we always recommend host family accommodation as the best option for students who wish to progress as quickly as possible. You can choose to stay on a self-catering, bed and breakfast, half or full board basis. Bear in mind that the evening meal is the best time to sit down with your host(s) and have a conversation and so you may like to consider half board accommodation if you do wish to have plenty of contact with them. Please note that those staying on a self-catering basis will usually have the least amount of contact with their host(s), so this really is for those who wish to have more independence. Most hosts live in the suburbs with good transport links to the city centre. You should expect to travel 10-40 minutes by public transport to the school. We also offer student residence accommodation, which is generally most popular amongst students in their 20s. Each room in the residence has its own bathroom. There are shared student areas with a television and a snooker table and there is also one fully-equipped kitchen per floor. There are laundry facilities in the building and plenty of shops close by. The school and city centre are within easy reach by public transport. 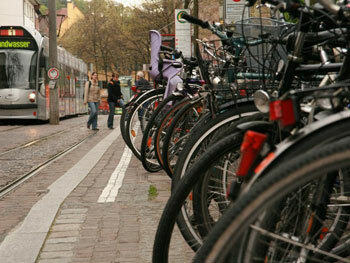 Do not worry if you will be travelling to Freiburg alone. Most of our students do so and this is one of the reasons that our colleagues offer regular activities. Activities also give a great perspective on the local culture and area. Some examples of the type of activities offered include guided tours of the city, visits to the theatre, canoeing, climbing, football, film nights and barbecues. 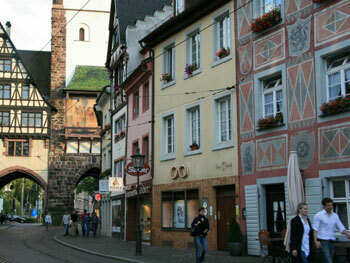 The school also regularly arranges excursions to places such as the Black Forest, Kaiserstuhl and Alsace. Our colleagues at the school will explain the activities programme to you on arrival and you can choose which you wish to take part in. Please note that whilst some activities may be free of charge, others may incur a small additional charge, payable directly to the school. 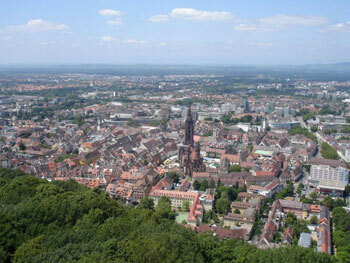 The closest airport to Freiburg is EuroAirport Basel-Mulhouse-Freiburg which is 70km south of the city. From here you could take a bus (journey time is approximately 55 minutes). Alternatively, you could also fly into Baden-Baden Airport. 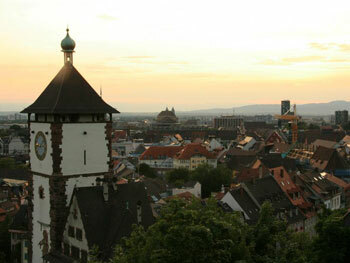 Freiburg is also well-served by train connections to many German and European cities. Average score for our school in Freiburg (Munsterplatz) based on 9 previous client reviews. Excellent teaching plus the four teachers I had were committed and interesting and very professional. Course material relevant to my intermediate level. Variety of interesting teaching methods that kept us engaged throughout. Very good accommodation,friendly family and eager to meet any needs. Only disadvantage was it was a tramcar and a bus ride away plus 10 minute walk. All in all about 45 mins travelling time. The course satisfied my expectations. I started as A2 Deutsch beginner and as I had never been in a german environment before, I was able to understand very quickly although I couldn't speak yet. The teachers were good. They were always open to our questions and wanted to make sure that we understood everything. The atmosphere was also great. We laughed a lot with them and the other students. The family in which I stayed for almost 7 months was probably the best in the whole city. Although it might sound cliché, they really made me feel like one of the family. We had lots of conversations, we played a lot together after dinner and laughed everyday. They were very welcoming and open-minded. Janis was our instructor for private lessons for my daughter and me. He was extremely organized and designed the lessons to fit our ability and personalities. We made significant strides. Janis gave us some very helpful things to work on outside of class as well. I'm very satisfied and will arrange to do this again. 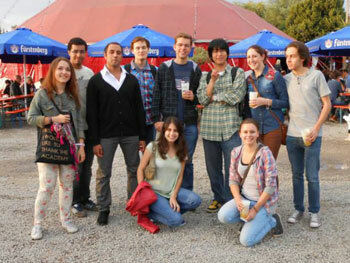 I attended a two weeks German course in Freiburg. The teachers were friendly and very good. The program and the materials of the course were interesting and helpful. I started from a basic level and improved my German speaking and understanding. I was plenty satisfied.